Each Tuesday and Thursday we reach out to the Complex community and ask our followers to Twitpic the sneakers they are wearing that day. Some followers are so consistent in tweeting heat that we select them for our Twit-Kicks All-Star column, a post where they break down the top 10 sneakers in their closet. 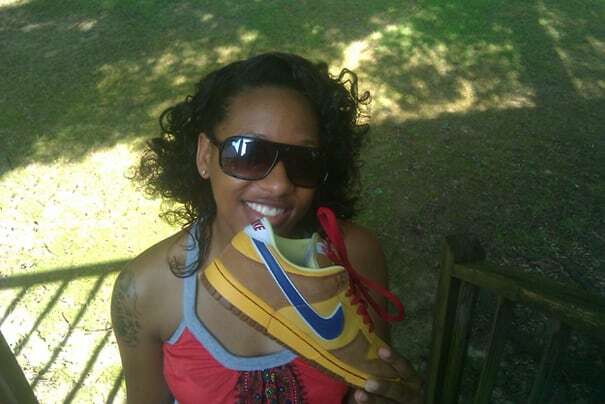 Meet this week&apos;s all-star, Cherell Garner, and keep sending your weekly kicks, &apos;cause you could be next. Prized sneaker in collection: Air Jordan Retro VIII "Aqua"
How it is that you have such a solid collection? "When it comes to my collection, I only cop kicks that I&apos;m completely in love with. All of my recent purchases have been kicks that I slept on or have had a hard time finding. My collection is diverse because I don&apos;t discriminate against any kicks or brands—dope is dope no matter who makes them or what they&apos;re made for."